Yes, I know what you are going to say. Stock pictures on Instagram? That’s not right! You need original photography! A few years ago, I would have agreed. Instagram became the social media addiction that it is today partly because a lot of very talented people filled the feeds with beautiful, inspiring pictures. That’s especially true in the travel niche. If you ever get the travel bug and want some ideas about where to go, check out some top Instagram travel accounts and you’ll be booking that flight before you’ve even finished your cup of tea. Stock photos, on the other hand? Well, they don’t fill you with much excitement, do they? How many times have you seeing a boring, fake picture of a group of suited business men and women huddled over a computer? That’s not what you want on an Instagram feed. However, times are changing. 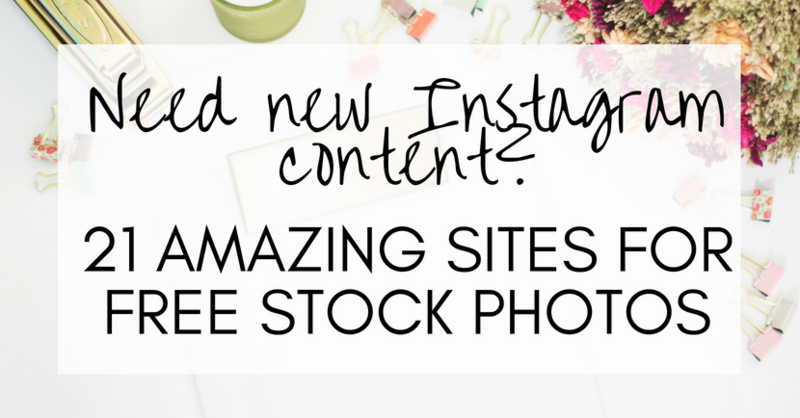 The old stock sites that used to supply those types of pictures (at ludicrously high prices) are now losing ground to some exciting new photo businesses. These websites have a completely different model. They are free. And they offer original photography and graphics from talented artists. Nowadays, if you can find a quality image online instead of going through the time and expense of creating your own, I personally don’t see a problem with that. After all, you are trying to run a business. 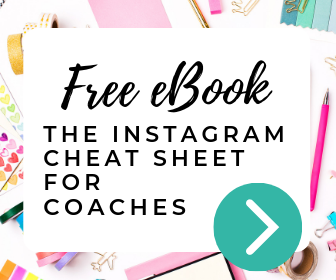 And whilst it might seem like a romantic notion to hop on a plane to Paris for the weekend to take some glamorous photos in front of the Eiffel tower, you don’t need to do that if you want to use Instagram to promote your business. 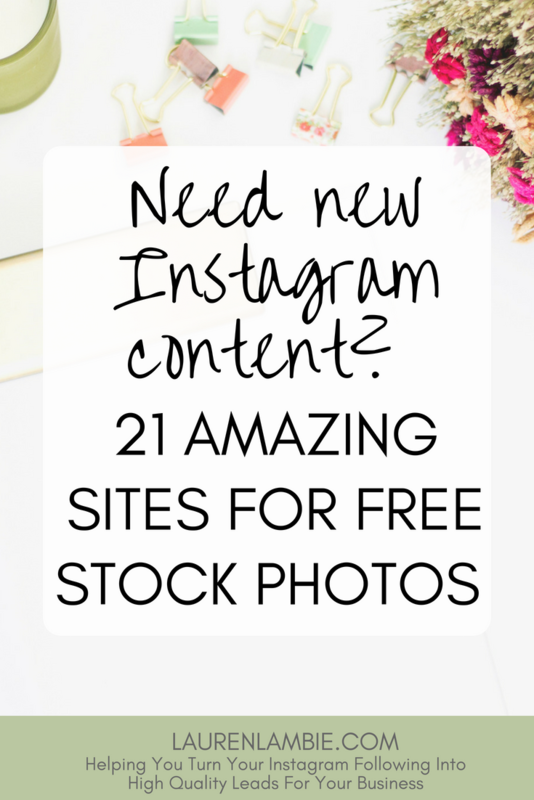 Listed in the rest of the post are 21 of my favorite free stock photo websites. They are fantastic and I use their images on all my social media platforms – not just Instagram. I challenge you to go discover, and find something in one of these 21 sites. I promise, it will look perfect on Instagram and not out of place amongst the bigger, more professional accounts. Without further ado, here are my 21, listed in no particular order. I’ve also included some smaller blogs in this, because the big sites get enough publicity, but I really wanted to give a shout out to some of the smaller bloggers and photo companies too. Oh, and an important point to mention. Always check the commercial rules around using an image. Some are only free for personal use whereas others are free to use for anything – commercial or personal. If you are using these images for your business, then you need to make sure the license states that the image is cleared for commercial use. One of the original sites to start offering free photography, you can also purchase a premium pack featuring a bigger archive of free photography. 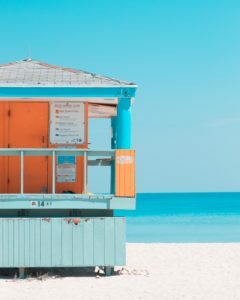 Similar to Death to Stock, unsplash offer collections of images on a theme and you can sign up via email to be notified when new images become available. One of the reasons I included 123RF is because of their library of vector graphics, which are great to use – especially on advertising. They also offer plenty of premium (i.e. priced) images and graphics. One of the biggest sites in terms of the number and variety of images they have, so if you are after quite a niche image they are probably a good place to start. Stocksnap is definitely one of my personal favorites. They have some gorgeous images and plenty of variety to help discover the perfect one. Picjumbo has a lot of Instagram-worthy images, so you can spend hours browsing and finding something that you can use on your feed. I love the way Life of Pix categorise their images. It makes their site easy to browse through and find inspiration. A great option if you are a new business startup and want some business related images without going down the posed, old fashioned route of normal stock pictures. Want some authentic, vintage black and white photography? This is your place. In the food or health niche? Then this website has lots of high quality food photography to offer. In the travel niche? Or perhaps you just want to feature some beautiful and interesting travel photography. Either way, this is a must-visit. There is one caveat I would offer you before you start using stock photography on Instagram, and it’s this. Never pass off an image as your own. By that, I mean don’t show a picture of a girl at the beach and claim to be that girl, or a picture of a cake and claim to have baked it. Apart from the obvious point that it’s unethical, that type of use of images lacks authenticity. And if you want a dedicated Instagram following who love you dearly, then being authentic is the most important quality of all. So if you are using stock images, make them personal. Perhaps post an image of a landmark and explain that the location is on your bucket list. Or add a quote or graphic or promotion to an image, so that the final look and feel is more in keeping with you and your brand.